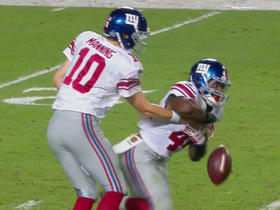 Cunningham was targeted once but did not record a catch during Sunday's 27-9 loss to Minnesota. Analysis: Cunningham saw increased snaps once Luke Willson (concussion) exited the game. It's possible he could earn more opportunities in the passing game if Willson remains out in Week 17, but it's unlikely the Southern Connecticut State product plays a large enough role to make a splash in fantasy circles. Cunningham logged four offensive snaps during Sunday's 14-13 loss to Buffalo. Analysis: Signed to the active roster just days earlier, Cunningham served as the clear No. 3 tight end behind Levine Toilolo (40 snaps) and Luke Willson (24). The sixth-year pro didn't draw any looks in the passing game and he doesn't figure to do so as long as Toilolo and Willson remain healthy over the final two games of the 2018 season. 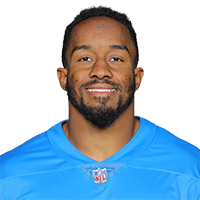 Cunningham signed a contract with the Lions on Tuesday. Analysis: Cunningham's spot on the 53-man roster comes following the placement of Michael Roberts (shoulder) on injured reserve. The 27-year-old tight end will provide depth behind Levine Toilolo and Luke Willson going forward. Cunningham signed with the Lions' practice squad Thursday. Analysis: The 27-year-old tight end has eight receptions for 59 yards in nine career NFL appearances. Cunningham likely faces an uphill battle to make the 53-man roster for Detroit with a loaded depth chart at tight end.